Top of the line Lariat. Only one owner! Powerful V8. 4x4. Super Cab. Outstanding maintenance history provided by the Ford Trained technicians at Walnut Creek Ford! Zero accidents or damages. Motored by a strong and sturdy 5.4L V8 Triton engine linked to a 6-speed automatic transmission. Delivers 320 horsepower and 390 pound-feet of torque. Gorgeous, Dark Blue Pearl Metallic exterior. Very spacious, clean interior with Camel leather, seating for five and wood grain trim. Plenty of convenience features such as cold Air-Conditioning, Stereo System with CD/MP3/Aux/USB/Sirius Satellite capability, 10-way power adjustable front seats, Heated Seats, Back-up Camera, Running Boards, and Parking Sensors. Safety features include antilock disc brakes, stability control, trailer sway control and a full complement of airbags. The 2010 F-150 has earned top marks in every crash test it's been subjected to, scoring five stars in government front- and side-impact tests and the top rating of "Good" from the Insurance Institute of Highway Safety in its frontal-offset and side-impact tests. Four top quality Goodyear Wrangler M&S Rated Radial Tires. 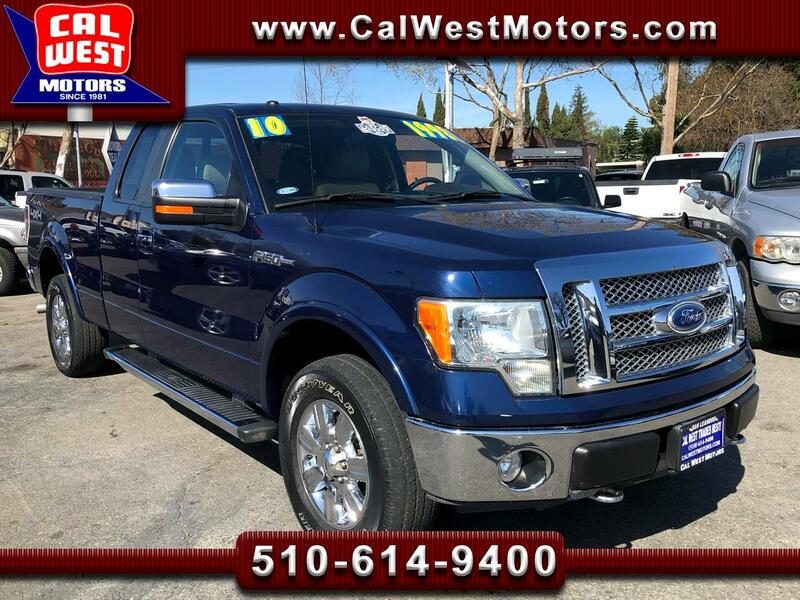 This F-150's refined ride, easy to drive demeanor, one owner history, outstanding maintenance history, long list of convenience featuresand fantastic looks create Great Value under $19,000!